WP File Download offers you the best option to save storage space on your WordPress site using a cloud platform such as Google Drive as a WordPress File Manager. Google Drive is a service developed by Google that offers cloud storage and file synchronization, with this service you can store any type of files in the cloud to access them from anywhere and share them with whomever you want. WP File Download Addon has a tool that allows you to synchronize Wordpress with Google Drive and create downloadable files from the cloud. 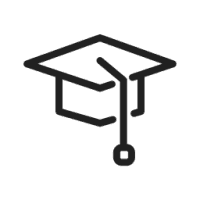 Can I use a WordPress Plugin as a Google Drive File Manager? The answer is yes, you can use this WordPress plugin as a google drive file manager because the synchronization is in both direction, you can create/edit/delete folders in google drive and see it on WordPress or you can do the same on WordPress and see it on google drive. That’s not the only thing that makes this feature important because this will allow you to show the files that are in google drive without the need to save them on the server, in this way you will save the appreciated storage space. This Google Drive WordPress plugin integration is really easy to use just, download the Wp file download addon and install it in your WordPress site. After installing the addon, go to https://console.developers.google.com/project and create a new project. Wait a few moments for the project creation. 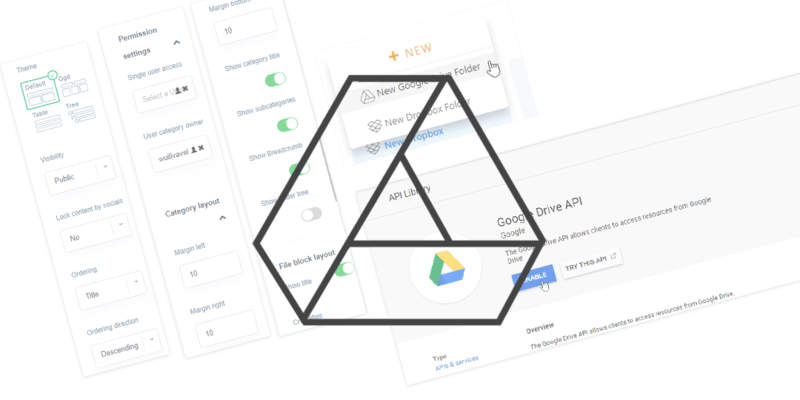 If it's the first time you're using the Google Drive API, you'll need to activate it. Click on the left menu and select the API Manager > Dashboard. Then on the left menu click on Credentials > New Credentials > OAuth client ID (if asked, add a name to your OAuth consent screen). Authorized redirect URIs: http://your-domain.com/wp-admin/admin.php?page=wpfdAddon-cloud&task=googledrive.authenticate (replace by your domain name). And Finally, you’ll be able to see your ID and Secret to add in the WP File Download configuration. Now go back to your site and go to WP File Download > Configuration > Cloud Connection > Google Drive and paste the Client ID and the Secret. Click on save google drive settings and finally log in to your google account by clicking on connect. If you haven’t made any mistake, it should work and that’s all, you’ll see the option to create a google folder in wp file download menu. After connecting google drive to your site, you'll be able to see a root folder in your google drive with your site name. This will be the folder you will use to add, remove or modify files that you want to appear in WP File Download. For example, if you want to create a folder from your WordPress site and it appears in google drive you will only have to click on New > New Google Drive Folder. The folder will be available in your Wordpress site and on your Google Drive account. It's magic, right? Now you can create folders in your WordPress page and see them in google drive or create them in the root folder of google drive and see them in your WordPress site, you can also add folders that you already had in google drive to the root folder, these folders/files will be shown on your site. Now let’s see how is the process with the files, if we upload a file into that new folder called “New Google Drive”, the file will be stored in google drive (not in your wp site) and you’ll be able to use it in your site. The Google Drive files will be used as the others, you can select the theme, set them as private and customize the layout. To create a page/post with that Google Drive folder, just do the same that you do when you want to create a WP file download page, go to the Page/Post and in the new Gutenberg editor click on "+" > WP File Download Category. Now type the category name and click on it. Publish the page and done! The people will be able to download your files ;) Depending of the file category theme selected you'll get different front end WordPress rendering.